One of the most challenging and toughest – yet the most effective tactic of making websites come up and float on the surface of the search engine result pages. 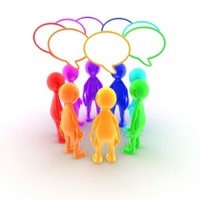 A forum is a community discussion or a talk board where in everybody discusses and puts their view points on a single thread. Forums are strictly monitored by Forum Moderators and they make sure that abusive content and replies are not posted. In fact, every single thread goes for moderation and all answers are moderated strictly following the forum rules. 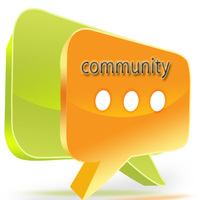 Forums are normally live threads and if there are any discussion threads related to your industry; forum would be a very good place to not only leave a thread but also a link related to your business website so that if there are other readers of the forum and they want a reference as to a particular topic of discussion or a part of the business agenda. An excellent platform for establishing brand of your business – forums allow you to discuss regarding the latest products or services that you are selling and give help threads to get to the business online or offline and make it easy for the customers to reach you. Any special offers can be discussed and brought to the public eye here. Getting to know the rest of the best people of your trade – there are lot of people who share the same idea and ideology as you and they might be finding your business to shake hands with. That is what the exact idea of the forums is – to make people of the same business come together and share an idea and discuss to bring out some new ideas or join in some combined venture. 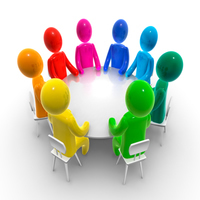 Forums are excellent support formats – if you are facing some issues in concern with your business and need a multi-angular view of the solution, all you have to do is post a thread and wait for someone from your industry to reply to the thread so that you can figure out what needs to be done next and get so many possibilities! The obvious next big question is that – how are Forum Submissions done? What are the essential steps to be followed, which we follow, for you. There are of course a lot of policies as per the forums that allow submission to be done. However, it starts with finding the correct category for your business. Misplaced forum posts get easily removed and the next time, you won’t be allowed to post as you “dropped” replies randomly all over the forum – polluting it. This is one thing possibly every moderator checks for – irrelevant posts. Setting up a signature is what comes next that shows parts of your business. If regular posting is done – you will be allowed links in the post. And the last is to participate in all relevant discussions and build user reputation on the Forum. In the long run, it makes a lot of difference!